TabTale’s new Android and iOS game called ER Surgery Simulator is your chance to act out your childhood dreams to be a doctor, as you perform emergency surgery on patients by using real (albeit in-game) doctor tools. As a shocking earthquake has hit the city, it’s your job, as “Doctor X,” to save some lives and clean wounds, cut skin open, repair organs, and sew skin back up. There are ten different types of operations, and the game claims that the surgery steps are authentic enough. Still, we definitely do not recommend practicing surgery just because you’ve become an expert in this game. You’ll need an actual degree and a license for that. 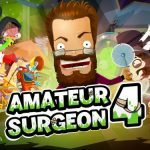 Having gotten that out of the way, you’re probably wondering how you can become an expert in-game ER surgeon. If you are, then come join us as we now bring you a list of exclusive ER Surgery Simulator tips and tricks. If you’re a surgeon, you definitely want to be as precise and accurate as possible. That means taking extreme care as you place the incision marks and follow them to the letter. Surgery in this game, like it is in real life, is a very delicate procedure that could determine if someone lives or dies. Take your time, make sure you’re following the dotted lines, and do not mess up the surgery. There are different real-life doctor tools that you can use in the game, and they run the gamut from scalpels to syringes, all in rather garish color options. Still, even with the different color options, the difference is mostly cosmetic, so the important thing here is the type of tool you should use, and not necessarily the color. You also may need to watch an ad video if you want to use a certain tool, so be prepared to watch those 30-second clips if you see that a certain tool may be right for the task at hand. 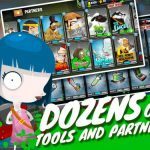 Aside from choosing the right tools to use, you should also unlock them first through a Match 3 mini-game. (Which is probably why the game is labeled as “Casual” in the Play Store, for instance.) Now there’s really nothing to it – just look for matches of three identical items to clear them out, and fulfill the mini-game’s requirements. And just like you would in other Match 3 games, it’s also a good idea to work your way matching from the bottom, and to take your time, as far as general tips go, and also to match four items (or more) of the same color. That’s going to create a special piece that allows you to clear more of the board. Although, we said above that you should take your time when following the dotted lines, surgery is, in real life, oftentimes a process that requires you to be quick. You may be thinking of rushing in a similar way, and while there are things that you need to snap to, we have to go back to the topic of precision. And we also have to inform you to complete all the required steps in an operation. This may include disinfecting the surgery or making sure the proverbial ducks are all in a row – for the latter, we mean checking if sutures are all in place. Though, this is more of a warning than a tip, we might as well sneak it in, because it’s very important if you’re hoping to have a lot of levels to play through so you can improve your skills. Once you’ve completed the fifth level, you’ll have to buy the remaining levels at the in-app store; that’s going to cost you $5.99, and will remove all the ads in the game, while also unlocking all the possible decorations. Yes, the free version of ER Surgery Simulator is merely a “lite” version, and while we’re sure that’s going to bum some of you out, the $6 payment is a one-time purchase, and the game doesn’t appear to have too many of those micro-transactions that could do a number on your finances. For now, these would be our tips and tricks for TabTale’s new game, ER Surgery Simulator. Know more tips for the game, that we haven’t mentioned in our guide? Be sure to let us know by commenting below!